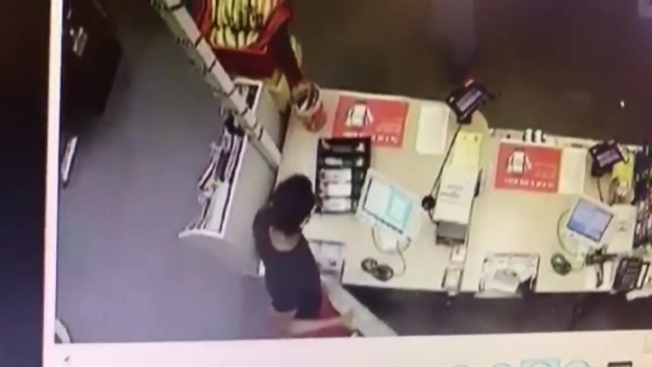 Police are looking for a man who was caught on camera robbing a Miami CVS using a 2x4 piece of wood. The robbery happened around 11:50 p.m. Monday at the store at 888 Biscayne Boulevard, Miami Police said. Surveillance video showed the man walk into the store holding the wood then stealing money from a register. Police said he stole about $580 then fled on foot. The suspect was described as a slim black male, 28 to 32, about 5-foot-8 to 5-foot-9. Anyone with information is asked to call Miami-Dade Crime Stoppers at 305-471-TIPS.